Love is in the air, along with some pretty gorgeous melodies. If you're not a fan of wedding proposal videos or happiness in general, you can stop reading now. The Aristocats of Washington University in St. Louis can officially say that they are responsible for delivering a truly magical moment for one couple as seen in this Disney themed proposal video. 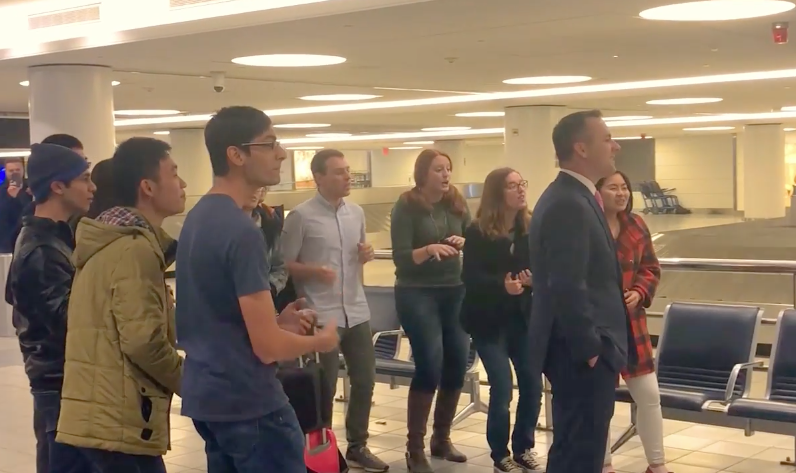 In the nearly three minute long video, the a cappella group surprises one unsuspecting passerby with an assortment of roses as she walks through the St. Louis Lambert International Airport. While this is quite the gesture, the true magic happens when the group begins to sing "A Whole New World" from Disney's Aladdin...soloed by the gentleman accompanying her. What results is a heartwarming proposal that's too cute for words. See for yourselves in the video below.